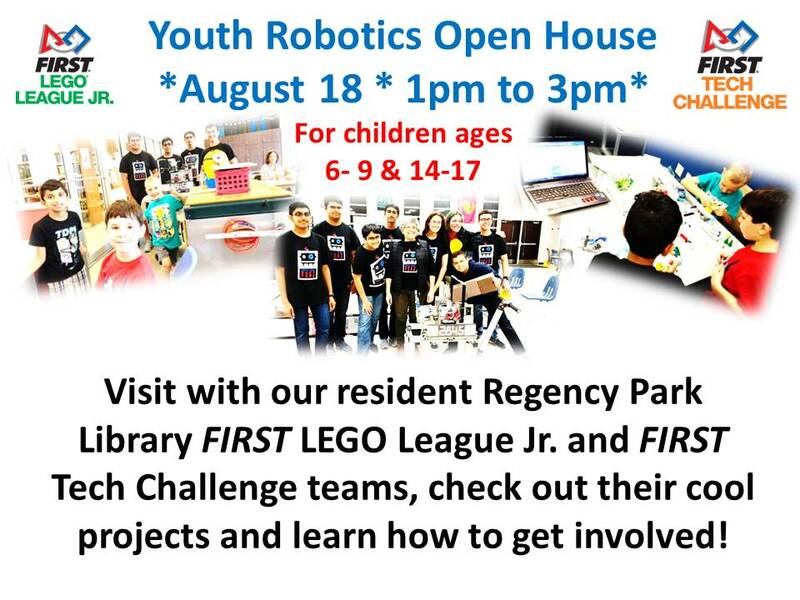 On Saturday, August 18, from 1pm to 3pm, FIRST Tech Challenge Team Duct Tape will be hosting a Library Robotics Teams Open House at Regency Park Branch Library , in New Port Richey, FL. FIRST LEGO League Jr. Team LEGO Pros, which also meets at Regency Park Library, will also be on hand showcasing what they do. FIRST LEGO League Jr. LEGO Pros has room for two to three students ages 6-9. Team Duct Tape is a middle and high school level team, that currently has opening for 5-6 students.